Be among the Start-up companies! We are excited for you to meet our global family of Start-up Founders, Investors, Collaborators and Partners. Start-ups are not just a name - these are the companies we trust with the investment of our future. Start-up industries bring fresh and innovative ideas that reshape the markets. This is why the interests of Start-up companies are our top priority. We do not just select them carefully, we fully believe in their capacity to succeed. Additionally to your pavilion, you will also have the perfect opportunity to meet hundreds of agriculture companies under one roof who are also seeking to partner with investment and professional services in order to promote their companies, through one-on-one meetings. This distinctive comprehensive online B2B Networking forum enables participants to get together and exchange information, knowledge and business cards. Fascinating sessions, international speakers & new developments – all in Agritech 2018 Conference. 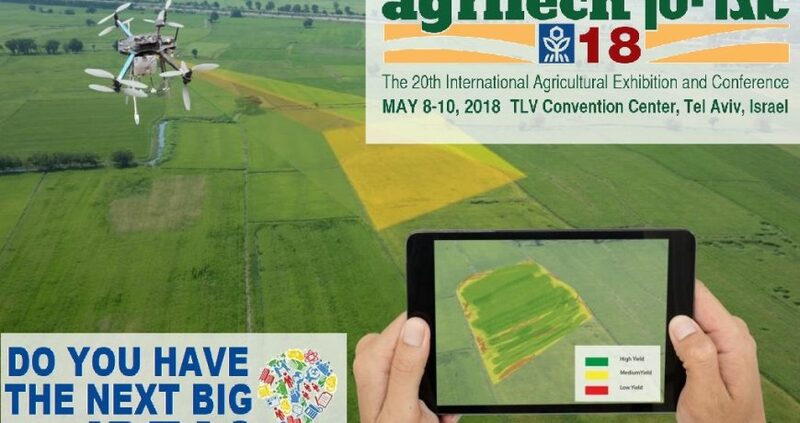 We bring together Israeli & international business executives, agriculture engineers, political decisions makers and leading researchers to showcase the most advanced technologies and solutions from around the world.